Shaping poinsettias is what I love. I have made a Red and Pink Poinsettia earlier with a word background. I used the new Distress Oxide for the background. Keeping a suttle background so that the flower pops. 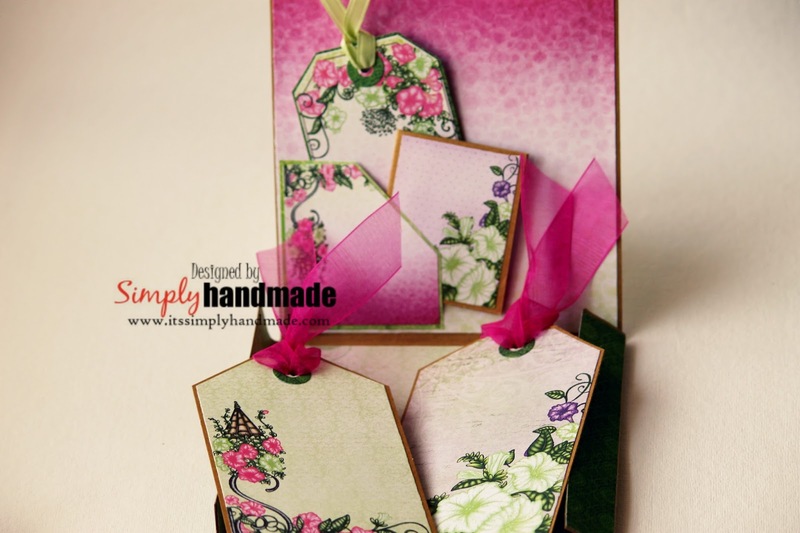 Cut a chipboard in the tag shape 6.5″ x 3″. Distress the sides and spunge with distress ink. Die cut 2 pieces of Entwined Circles. 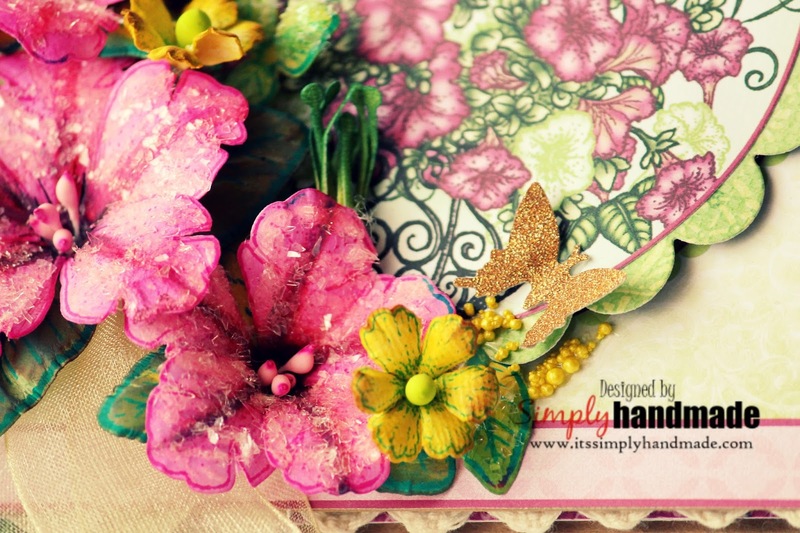 Die cut 2 sets of Poinsettia flower dies. 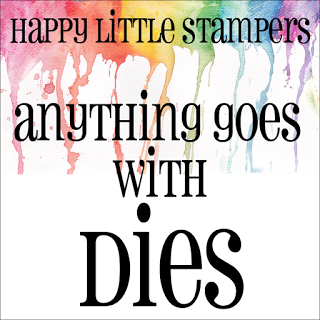 Color and shade them with distress ink. 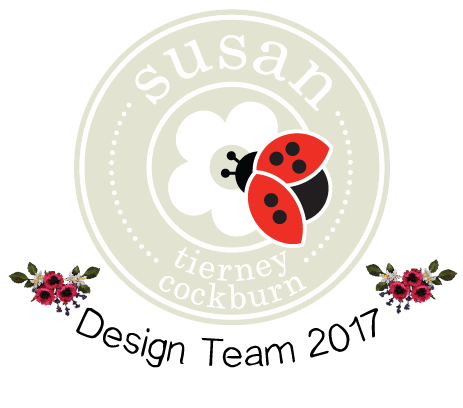 Shape the flower petals and leaves using Susan’s Metal tool. Cut a piece of Water Color paper in the same size as the chipboard tag. 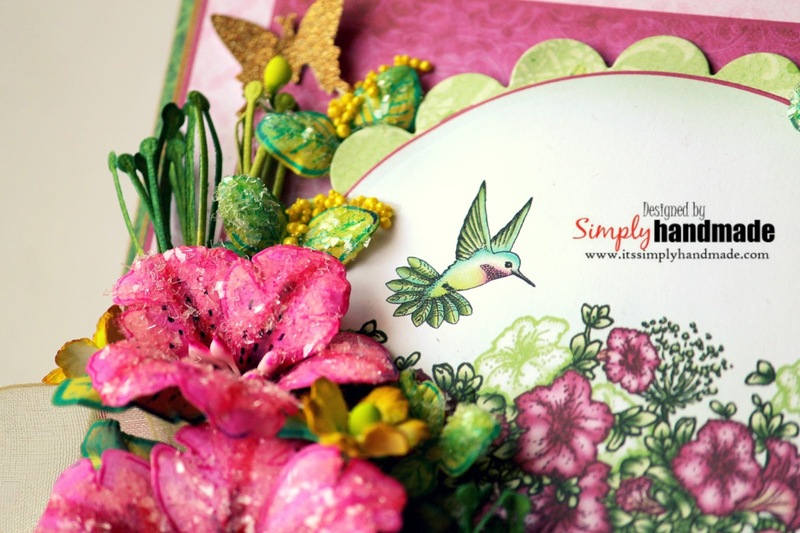 Sprinkle with water to prepare the base and create the background with distress ink. First lay down the die cut circles pieces, add some mesh and prepare for the flower base. Arrange the flowers, leaves and then lay it on the mesh background. Sprinkle some white paint and stones to finish the background. Cut a Black strip of card Stock. Die the word Congratulations with a white paper. Adhere the sentiment at the bottom. Welcome friends to another post where I am intending to start a very interesting series of post for myself and many others like me. 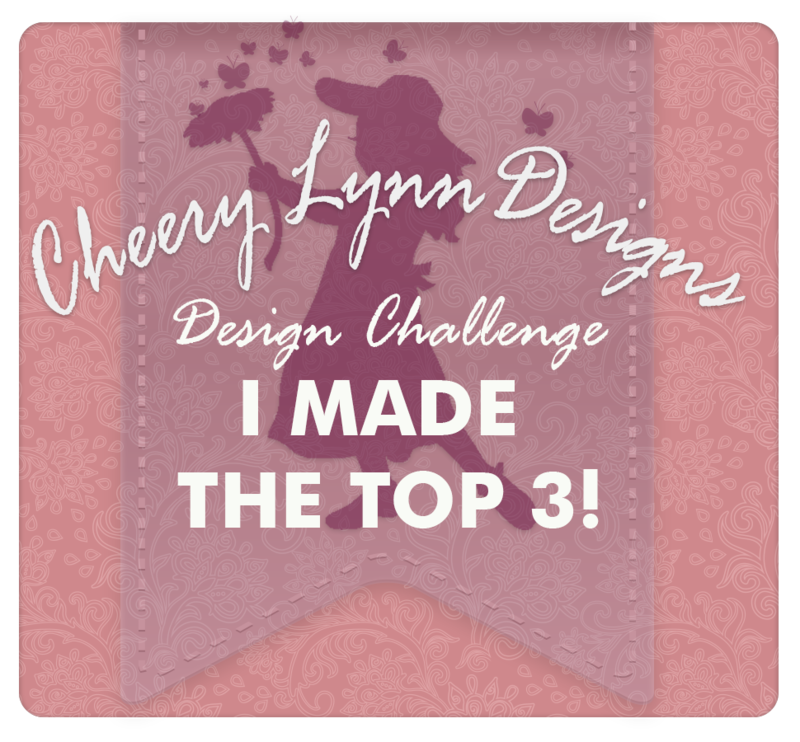 Week Back Erum made a reality check and here's where I picked up my challenge. 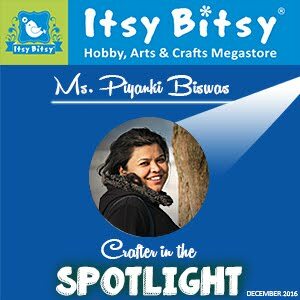 She is an amazing crafter and you can view all her creations HERE. So she knocked and said " Can we make some less bulky cards" and oh yes it was a real good knock and I thought its been time I made some single layered card. These are easy to mail and also quick to create. 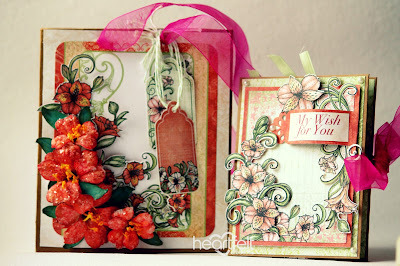 Along with this I also challenged myself to pick any stamps from my stash and create some cards. 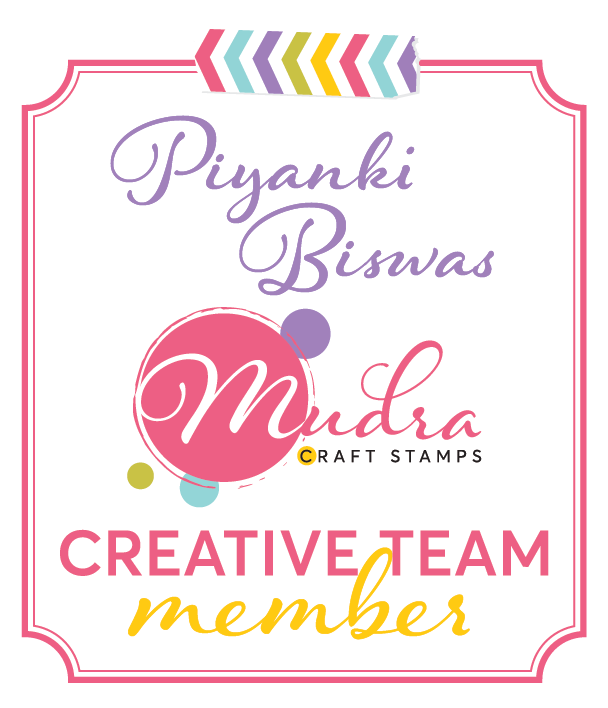 So for this week I have picked up 2 stamps from Mudra and created 3 cards. 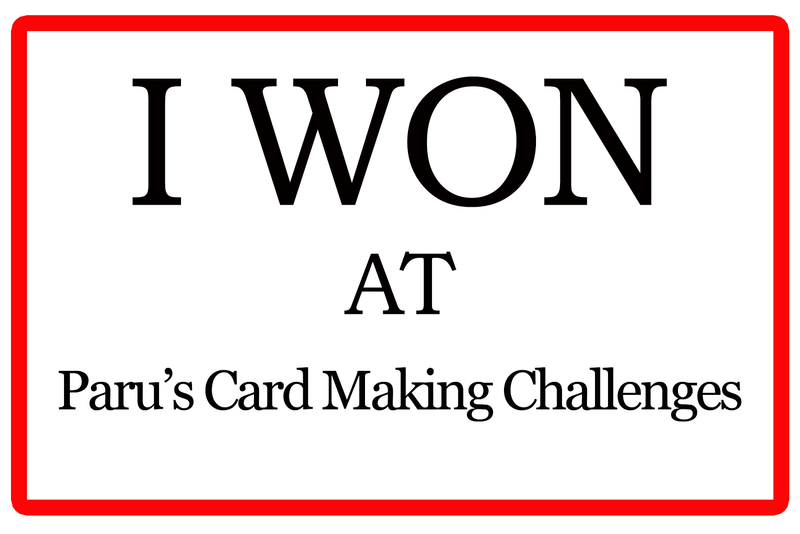 3 cards from 2 stamps is what I have challenged myself. 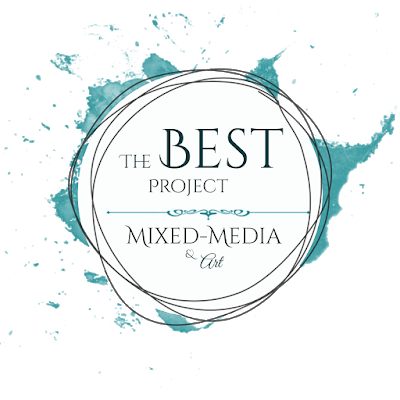 Do share how you like it and also would love to hear from you. Hello friends. 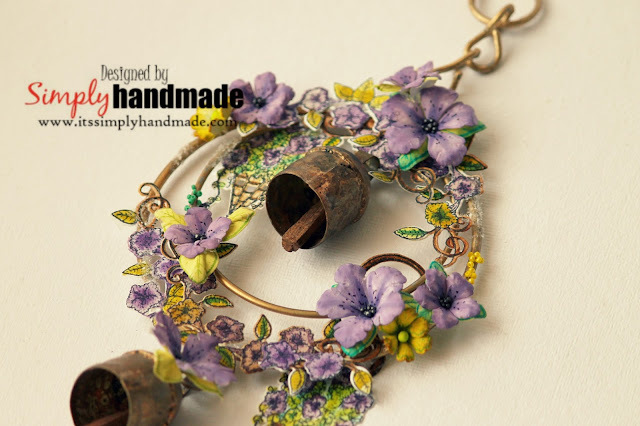 At heartfelt Creations we have debuted the Petunia this month and you have already witnessed an array of this beautiful flowers in many forms. Incase you still did not then head over to the Heartfelt Creations Blog Here. You will get to see loads of inspiration for yourself. For today's project I have a altered Art for you all! 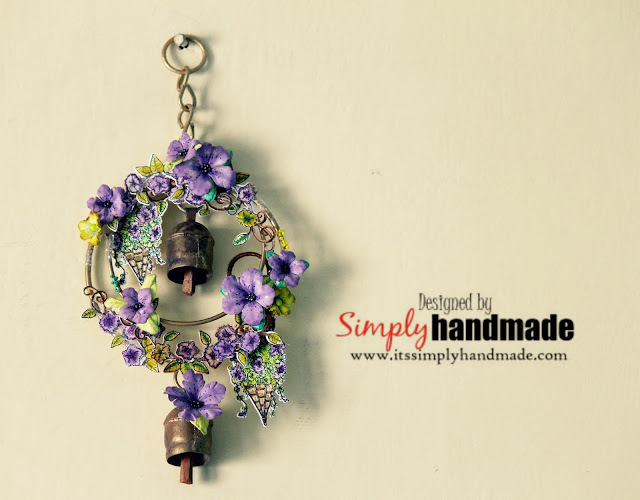 I picked this iron bell from a Craft Exhibition and for long it was up on my wall till when I decide to alter it. 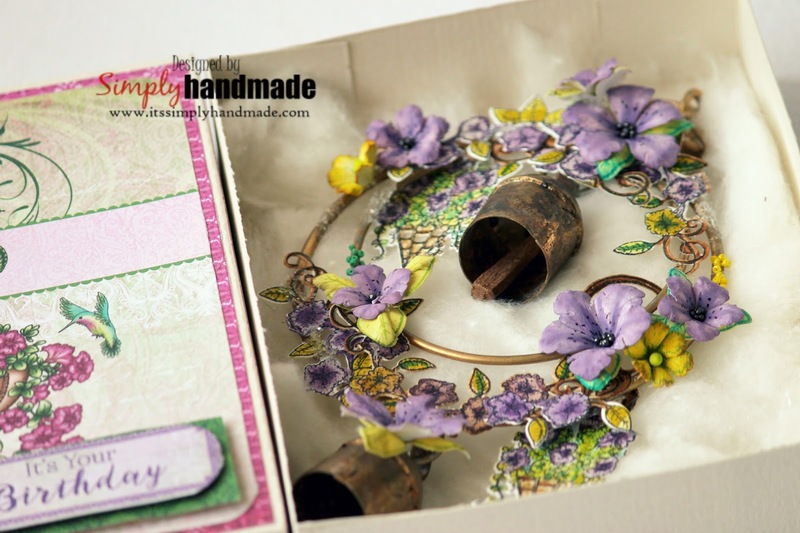 For the bell I created a Box also with the Petunia Paper Collection. Start by stamping multiple set of petunias from Small and large Classic Petunia using archival ink and pine needle for the leaves. Using the coordinating dies, die cut all the stamped images.Use the Stack and store daubers to shade the flowers using distress ink Dustic Concord. Finish the flowers by stacking each other and lay it flat and add prills at the center. 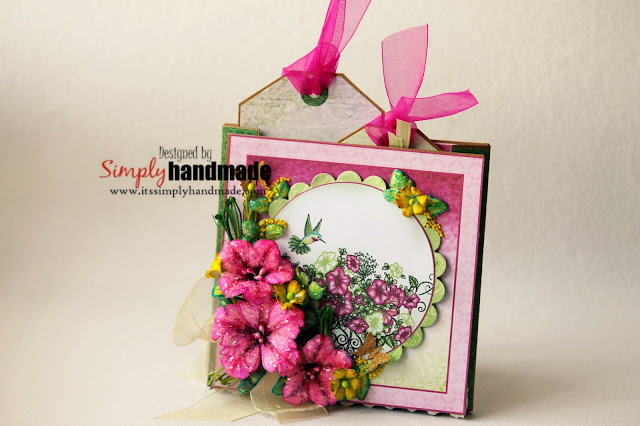 Stamp and die cut the petunia classic bouquet using archival ink.Water color the images using distress ink.Place the color petunia bouquet on the rim of the bell using hot glue.Place the shaped petunias, leaves ,stamen as desired in and around the bell structure to complete the composition. 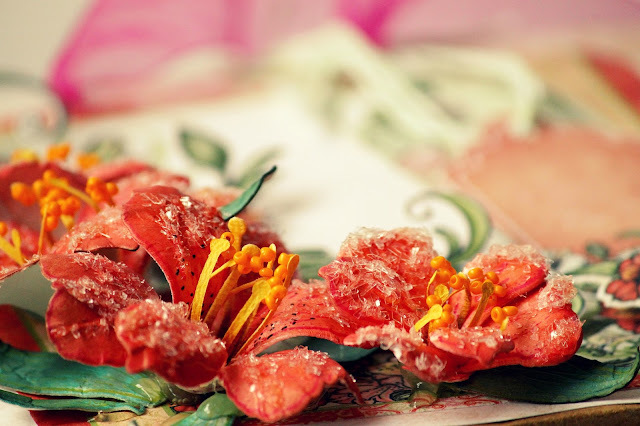 To finish apply glossy accent to the bouquet and the flowers and sprinkle some frosty powders. Iron Bell , Multi Medium Matt , heat gun, dimensional adhesive, Glue Gun, Glossy Accent, scissors, heat tool, Distress inks, Dustic Concord, Archival Black, Pine Needles. Do share how you like my altered piece. Until then lots of love and Happy Crafting! 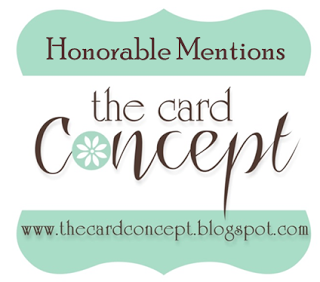 Welcome friend to my blog! With summer setting in , its time we appreciate and celebrate each season and its offering. Last week at Heartfelt Creations we launched the Classic Petunia and its bouquet. Its the symbol of summer, the bloom is beautiful and also it multi hue.Today I bring you a water color mixed media Canvas. 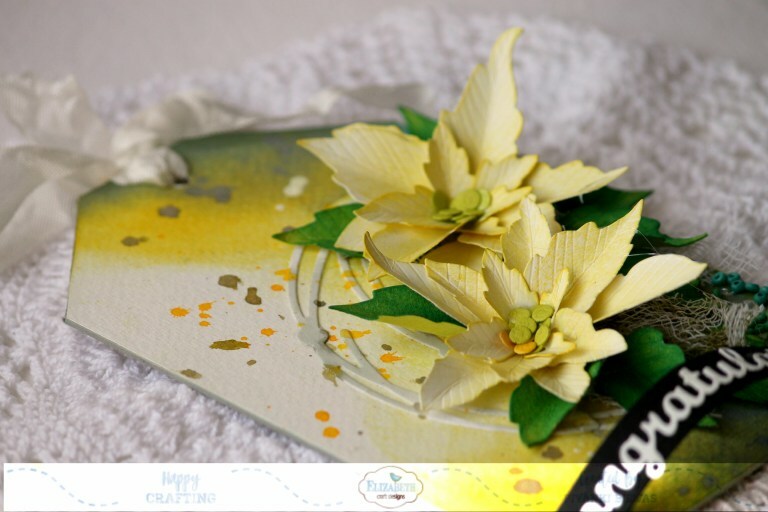 Start by taking a blank canvas and apply white heavy gesso.Use stencil and texture paste to create the first layer. Spray splashes of mojito green and iridescent orange on the canvas with water spray in between. Heat dry the base. 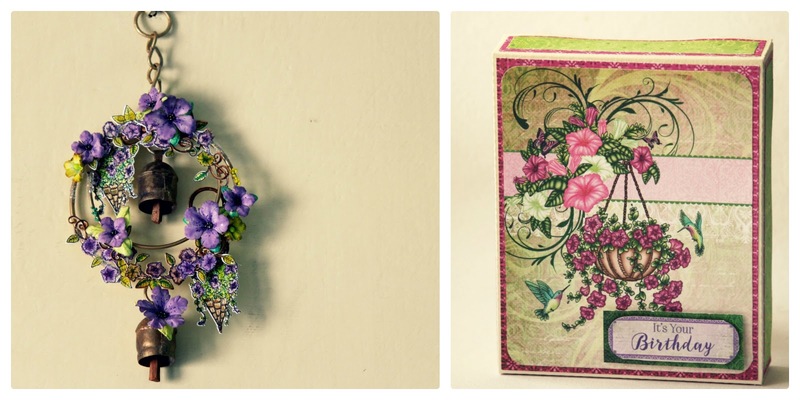 Stamp 2 set of petunias from Small and large Classic Petunia using archival ink and pine needle for the leaves. 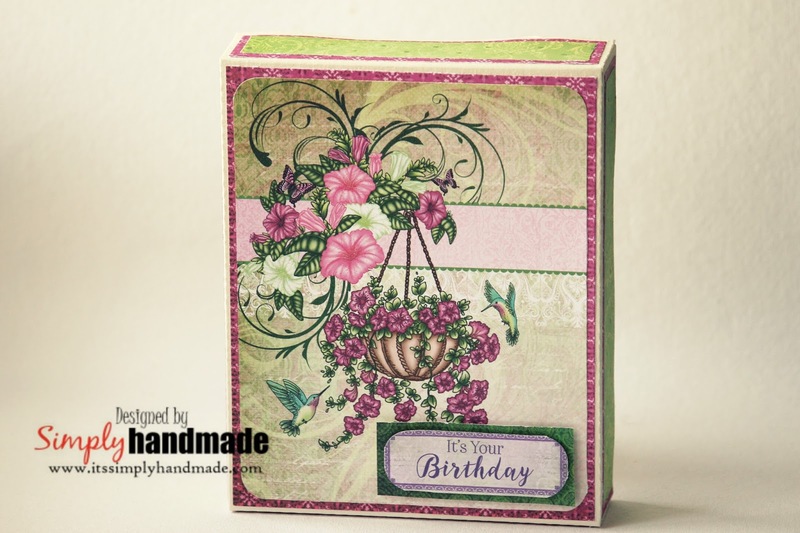 Using the coordinating dies, die cut all the stamped images.Use the Stack and store daubers to shade the flowers. Finish the flowers by stacking each other and lay it flat and add prills at the center. 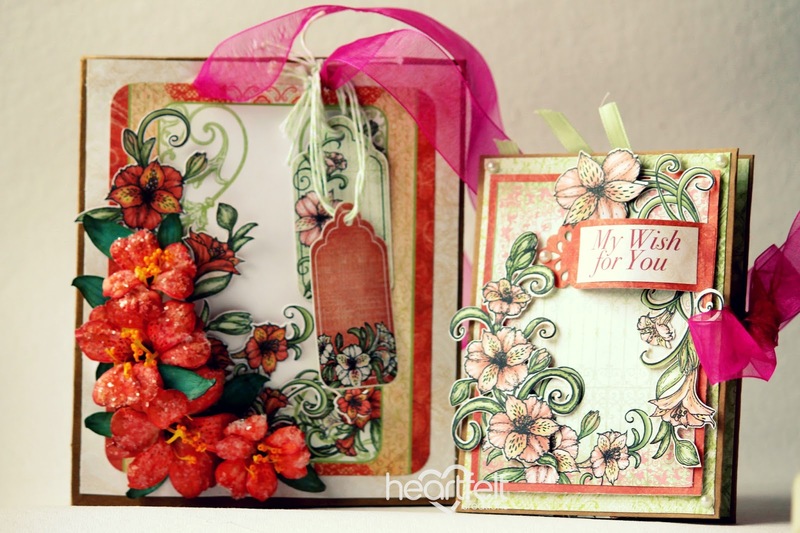 Stamp and die cut the petunia classic bouquet using archival ink.COlor the images using water color and distress ink. 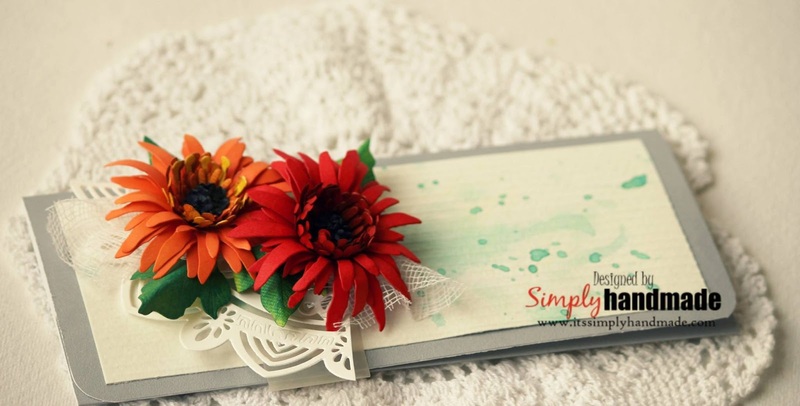 Arrange the resin frame on one side of the canvas.Place the color petunia bouquet on one side of it using hot glue.Add prills, glitter, stamen as desired to complete the composition on the canvas panel. For the sentiment heat emboss the sentiment on a black card stock and dry emboss using heat gun. Place the sentiment at last once composition is complete. This day needs no introduction neither any special mention. This day is no special occasion and still the most beautiful day. We all are here in this beautiful world for this amazing person " Ma". Its the universal word, the universal relation and most important its the unconditional relation that can exist. I chose this day for this beautiful tag to gift my Mom. To "Celebrate Her", " Thank Her" , "Adore Her" , " Respect Her" , "Love Her"! Flowers could be the best gift for any such beautiful moments. 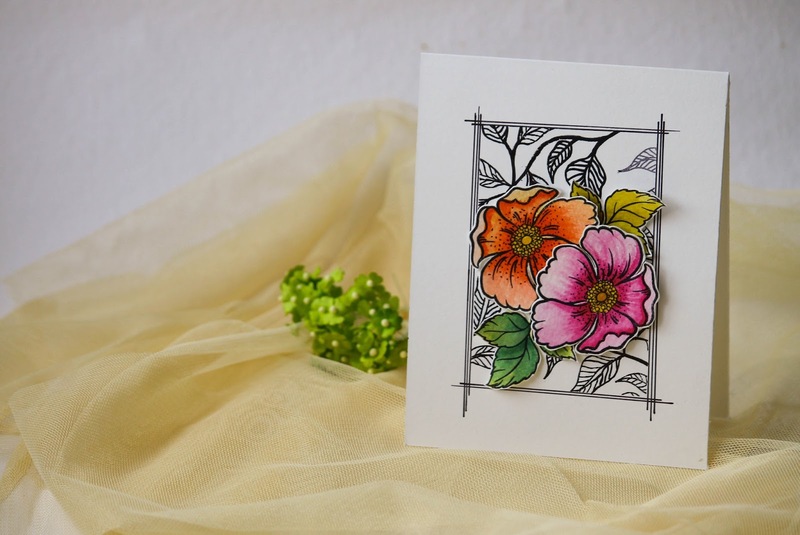 I used "Anemone ", Cherry Blossom , Ivy Vine from Susan's Garden. Its a mixed media , resist embossed , water color background and it was real fun creating the background. Embellished it with filler Flowers, twine, mesh , pearls and bling! Ma, this is for you! Thank you for being there Always. You made world a beautiful place for me! Be back soon for some more creative fun! 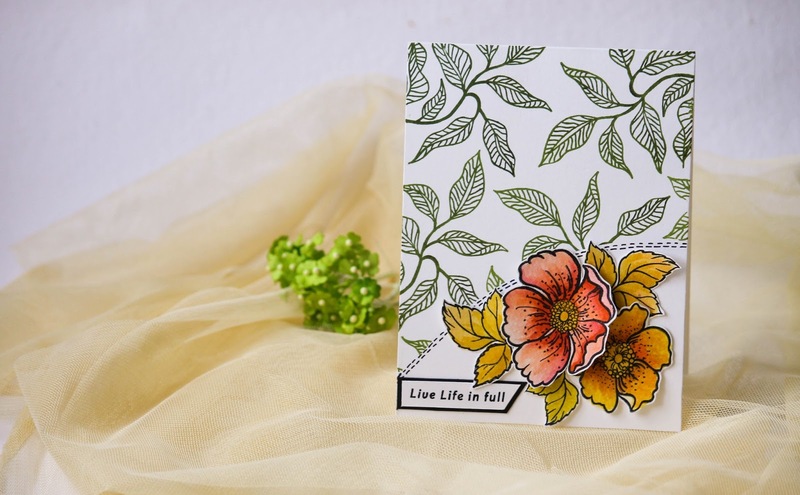 Welcome back to another beautiful Wednesday and its the second of the month and here we are debuting the Classic Petunia Collection from Heartfelt Creations. Summers already knocking the door quite early this year in India. Week back we have been lucky to get some splashes of rain but summers quite steady still. Lets welcome the warm sun with the Classic Petunia debuting today at the Heartfelt Creations. They are bright and lively, colorful, bloom from spring until frost and scent the air with lovely fragrance. 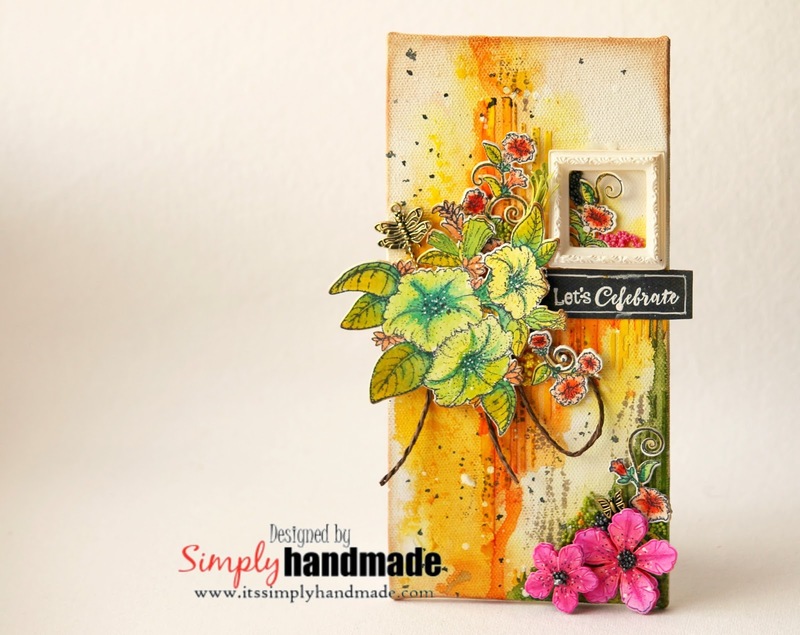 The collection holds beautiful stamps and coordinated dies to re create the nature in your own creative garden. The hanging pots, the garden chair, pots and the bouquet makes it extremely easy for all of us to experience the bloom. 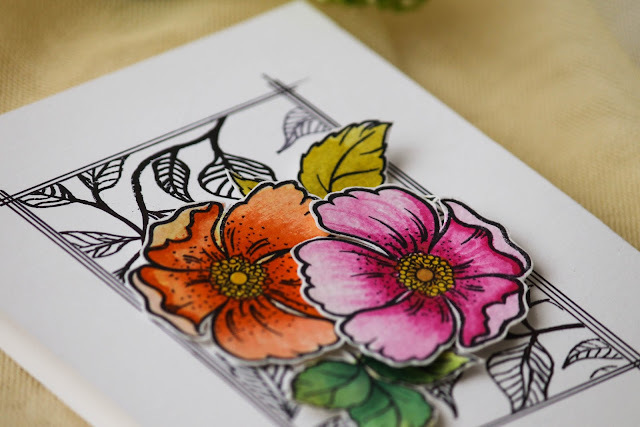 On such a bright summer morning I welcome you to my Petunia Pocket card which is interactive and gives you the luxury to capture all your sentiments and memories for your special ones. Instructions: Start by taking the Flipfold C insert. 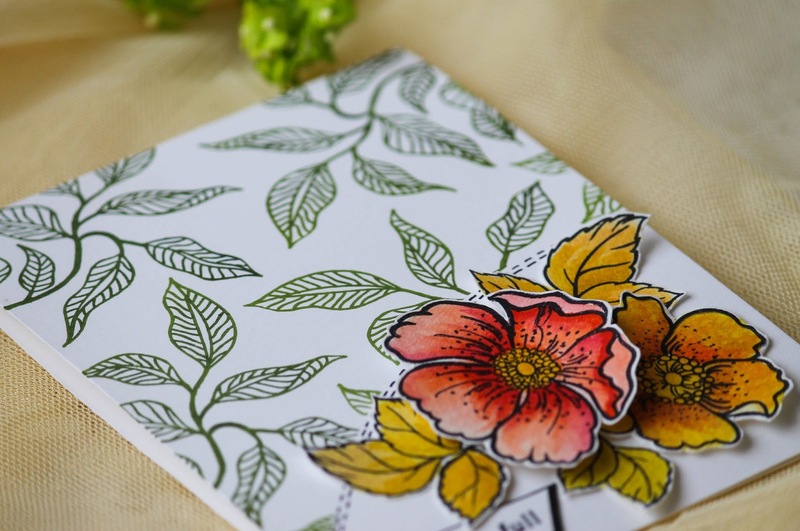 Cut coordinating size paper from the petunia paper collection and attach. 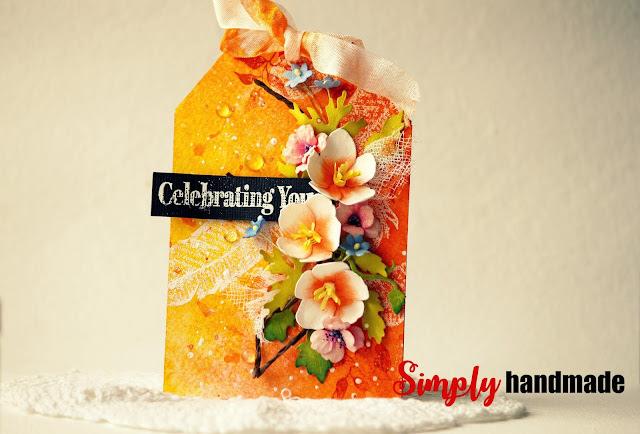 Diecut scalloped circle from card front and use dimensional adhesive to attach onto card. 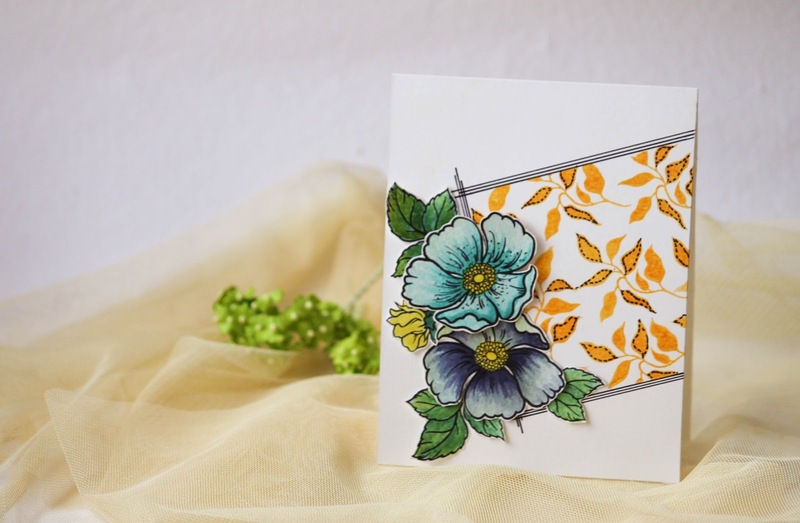 Stamp the multiple set of petunias from Small and large Classic Petunia using archival ink and pine needle for the leaves. 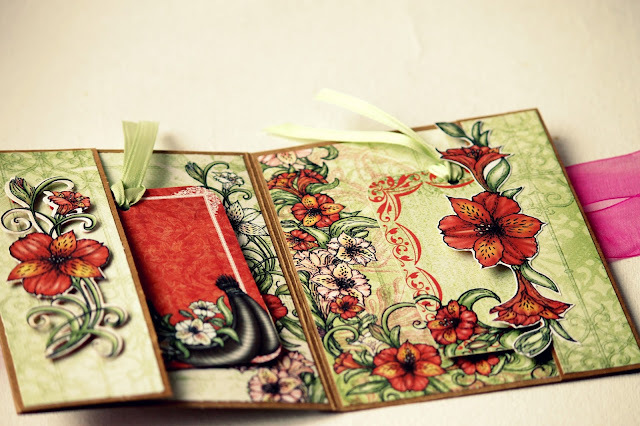 Using the coordinating dies, die cut all the stamped images. Diecut stamens. 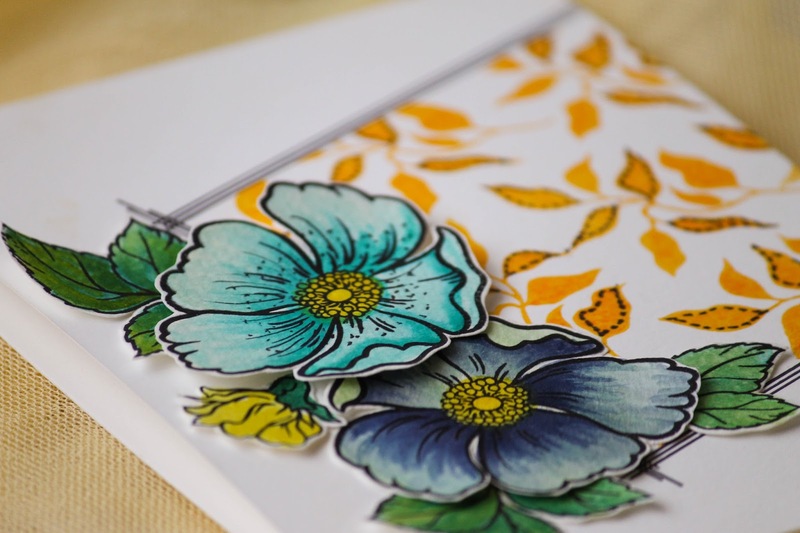 Use the Stack and store daubers to shade the flowers. 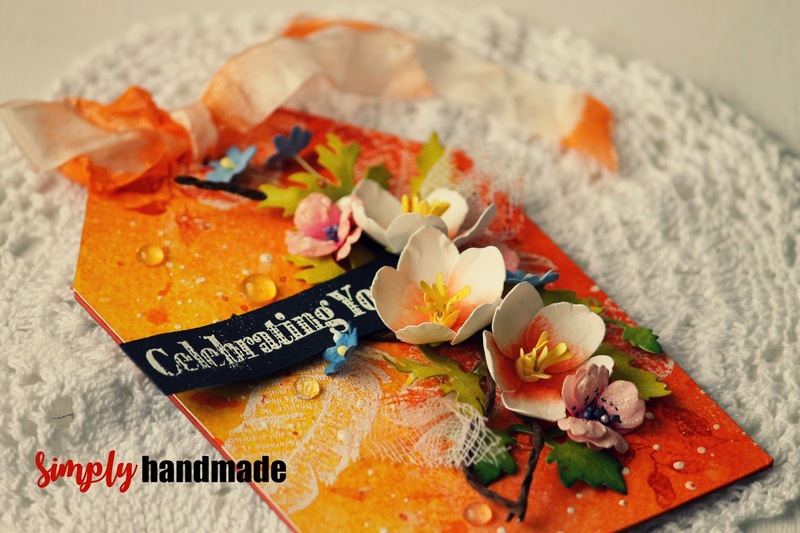 Use the Deluxe Flower Shaping Kit Shape the flowers and leaves. Finish the flowers with prills and glitter dust. Cut some Tag from kraft card stock and use them as inserts. Finish off the tags with ribbons. Arrange the shaped petunias, leaves and stamen and attach them to the front panel. Add prills, glitter, stamen as desired to complete the composition on the front panel. 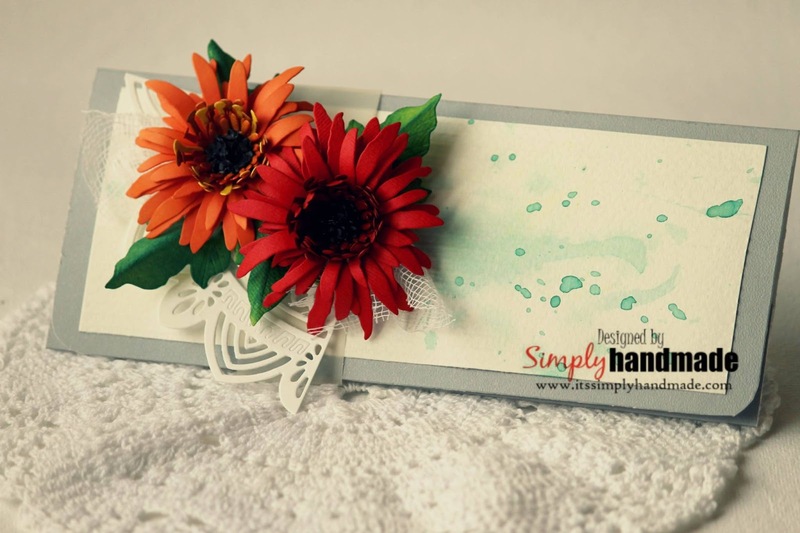 Welcome friends to another post where I use the Gerbera Flowers to create Money Wraps. As always making these flowers have always been fun and exciting. 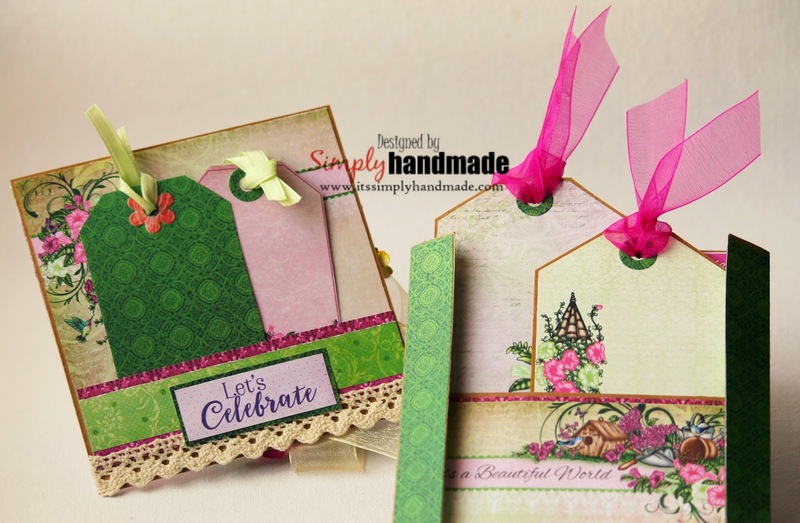 Creating these Money Envelopes has a little story to it, One of my fellow crafter Hussena has been creating these beautiful money wraps and I was inspired by her to create my own version. I intent to create many more versions of this same and share the tutorial with you all. Take a 7 1/4" x 71/4" Card stock. Score at 1 1/4" and 4 1/4" and fold it. I have shaped the Gerbera using Fabriano Paper. Did not use any Distress ink, no coloring. Created a water color background, splashed some Lindy's spray. 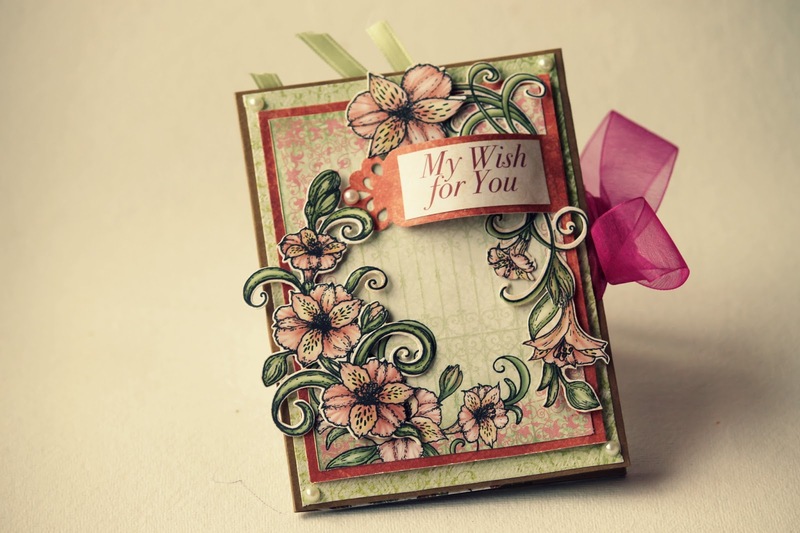 Die cut a piece of the filigree and arrange the flower arrangements. Thats all for today. Do share how you like it and share some love and comments. 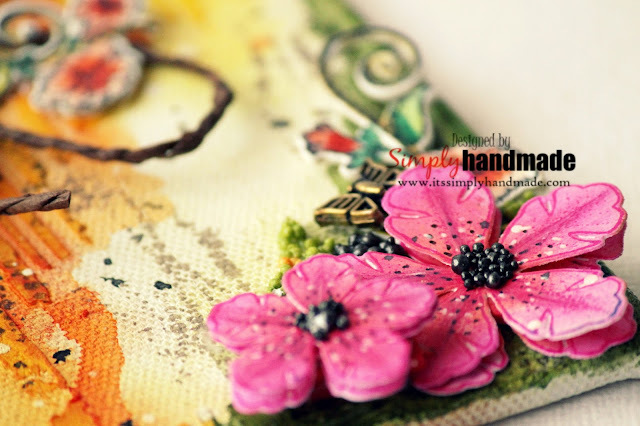 Hello friends, Another beautiful Wednesday and I am here with my first design project for Heartfelt Creations. Once again thanks to all my blog readers who continue to give me strengths, appreciation and love for my work. Welcome today where I am sharing a Gift set ( Gift Bag + Gift Card Holder) using the Sunrise Lily Collection. We all love gifts and what if the gift bag is a special one too. 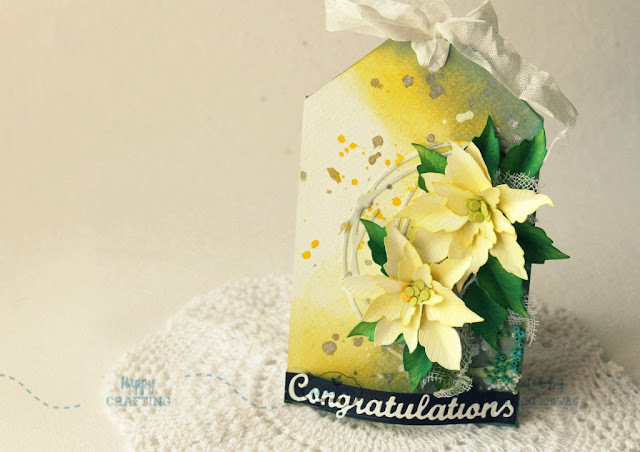 Its a altered Kraft gift Bag along with a designer Gift Card Holder. cordinating papers on the front and back. The gift bag measures 5.5 x 4.2 ". Cut 5.5x4.1 paper from the paper collection for the front and back of the bag. pink organza ribbon to go perfectly with the card holder. 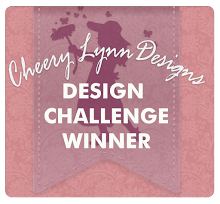 Please hop onto our Wednesday Inspiration where you enter a world of creation by all the designers HERE. 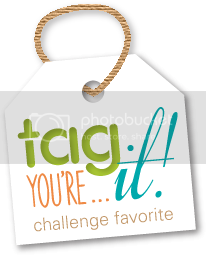 We love to see what you design and do share with us. See you soon at the next blog soon!